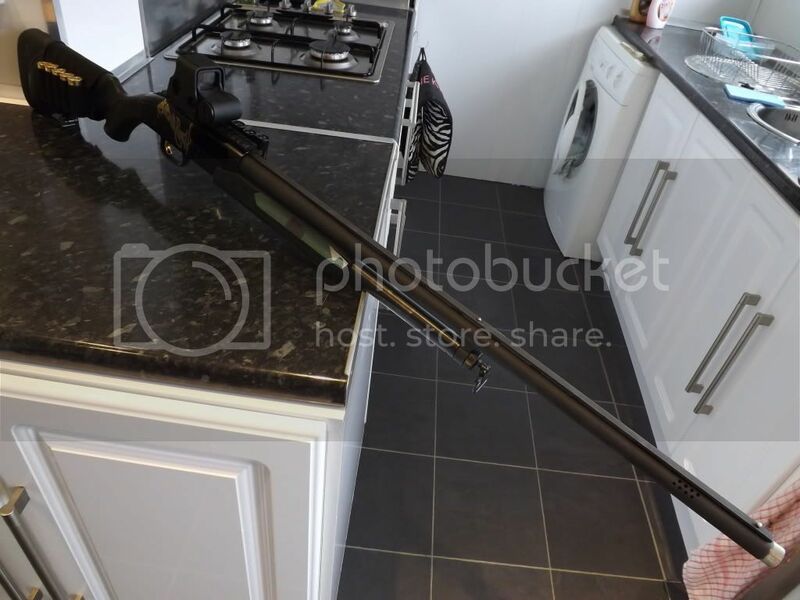 Cool thanks for that, I asked as my bro's other gun he's looking at is the Beneli, he's not the best with his hands so if it came apart into a million piece jigsaw I doubt he'd ever get it back together again ... doesnt look too bad. didnt come back all the way? how long were the 42's? They were 3", It could've been the racking but It's never happened to me before. I'l probably use it again on Saturday so I'l have another crack at it. what chamber and receiver you got? 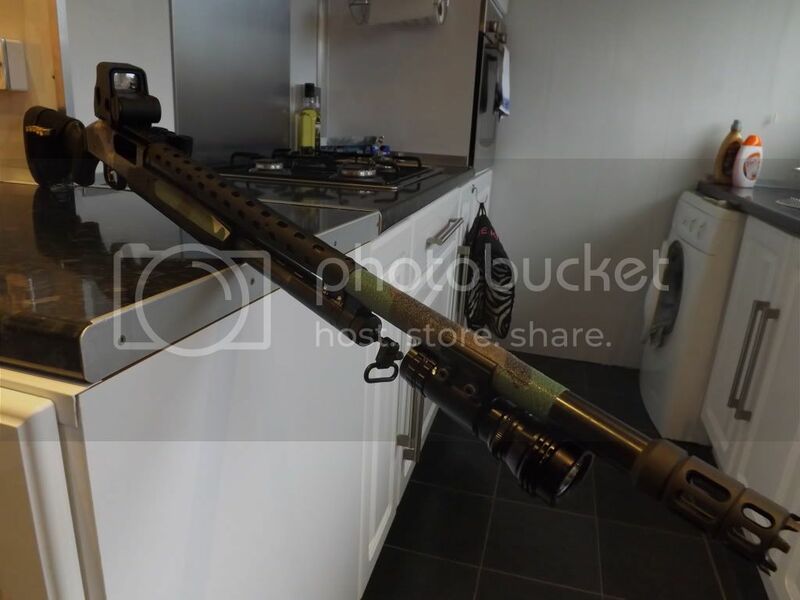 Surely that's a 2 3/4 " chamber on that gun? It's a 3 1/2 inch Super Magnum. Never had any problems with it before, even with the 2 1/2 carts. Have had a few(I love pumps!) 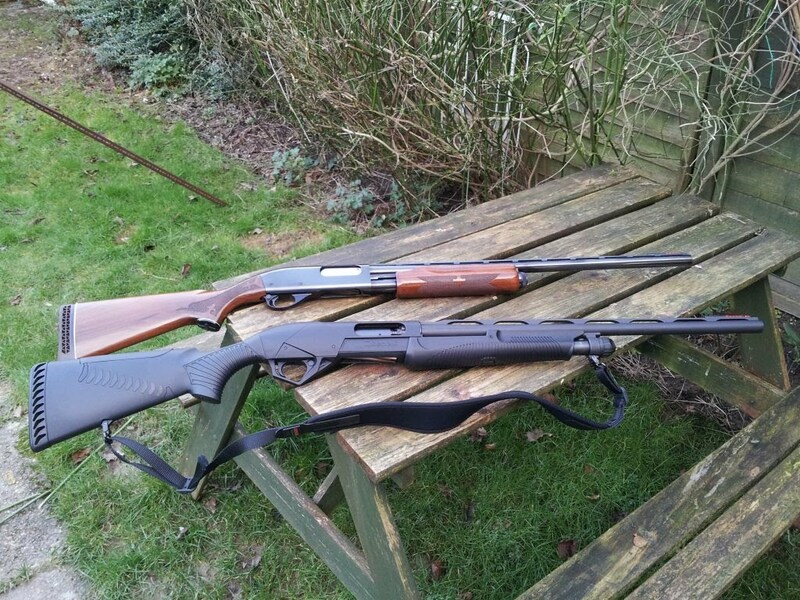 including a Winchester Model 12 'Goose' gun(still cry when I think about it)which was S1,a Remington 870 synthetic which I bought for my nephew,but it had to live in my cabinet 'til he was old enough!And now just have the two;a Mossberg 500 in .410 which 'belongs to my son'! and another S1 Winchester Model 12,but this one is in 20 bore. I have a SLIDE-GUN, Ithaca Model 37 featherlite. 6.5 Lbs and lovely. Used it on the clays in the snow a fortnight ago and then on Saturday just gone roost shooting pigeons, It put me 6pigeon and 2 crows in the bag ! Love it, 28gram of 6's on the pigeon and 24 gram of 8's or 7's on clays. Needless to say I love it and will be keeping it for a long time just got to justifie adding another to the collection ! You fool! You mad, impetuous *fool*! How could you *do* such a thing? By the way, I've not heard anyone mention the gun which is, perhaps, *the* slickest pump-action ever made - the Higgins M20. (Yeah, yeah, it's really a Hi-Standard.) Anyone else got one of these? The agreement with my mate was that I could have it back for the same price should he ever wish to get rid of it! Did you do all the work on this yourself? Impressive bud. 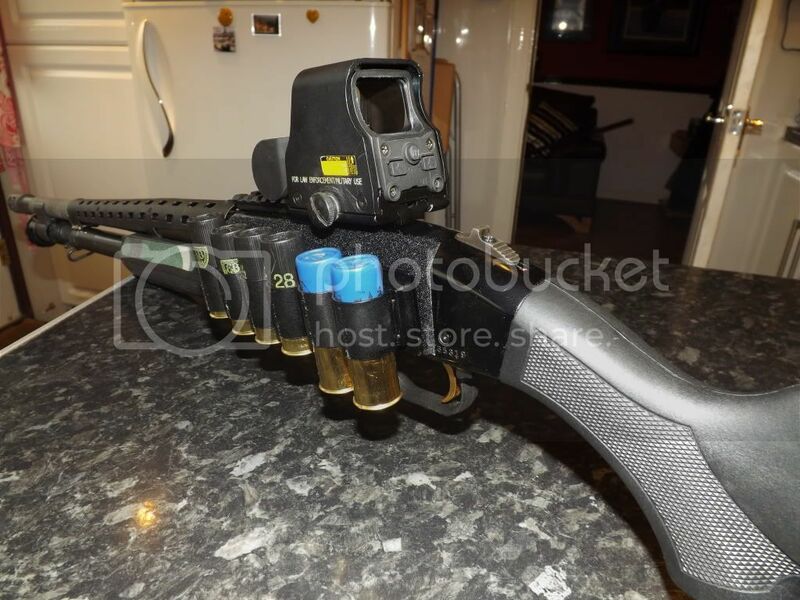 It was a labour of love, accidently found out about the chokes through a American Mossberg site ,i did'nt know my Browning chokes would fit in the Mossberg. Benelli Supernova and Remington Wingmaster.